We are proud of what our customers say. We work hard for it, every day. One of the best themes available on the internet. I wanted a neat and clean theme interface for my website and Richwp has all the required features. The best part is support. I mean it’s really really awesome. Whenever I faced any problem, I contacted Felix and he supported instantly. I have never seen such prompt service. My recommendation is to instantly go for the theme. I would rate this theme 5/5 and give Felix 6/5. Go for it guys. I was really surprised, when the author, famous programmer of the one of the best theme on the Word Press market, replied to my question in 20 minutes! Unbelievable! I am a journalist and a graphic designer (photoshop, illustrator) and have basic knowledge of HTML, but very bad with programming and feel very helpless when dealing with PHP problems. After I looked at all themes the host server offered me – I immediately noticed the outstanding architecture of RichMasterXS and choose it right away! Turned out the theme is Absolutely Fabulous and very easy to operate by dummies like me! The only issue I had in the end is inserting thumbnails of pictured of my articles on the front page. And Felix helped me without showing any attitude of Master the Great and now I have this theme working perfectly just like on the demo. You can check what I did and see yourself that I am not lying. Sorry, the website is in Russian – they are everywhere! They multiplying like cockroaches. Hahahaha! I have been a customer of Felix for a few years now and all I can say is that his work is very professional, and he provides an outstanding customer service. I would definitely purchase more templates from him in the future. I bought one of the nicest WP themes I’d ever seen from Felix, that was the first benefit. But the good experience didn’t stop there. I needed help and his support was fast and exactly what I needed to get the theme through a couple of rough patches in my limited knowledge. Then a couple days later I had to change the domain name of the site, and once again he provided the exact recipe for making the changeover, which I was able to do in a couple hours after a day looking elswehere to try and make it work. Thanks Felix, you’ve been an exceptional help and I recommend anyone looking for a WP theme to buy one of yours, because the important part of the buying process is great support. Making clients happy is not always easy but Felix makes it easier by providing fast support that solves problems. I recommend Felix and his wonderful themes. I could not have asked for a better looking or more functional theme than Felix provided me with. It is perfect for my business model. Not only has Felix furnished me with both an awesome WordPress website customization but also great ongoing support that has allowed me to achieve what I needed for my business. I cannot recommend his services more highly. I fully endorse RichWP themes and have been very impressed with how professional and prompt Felix has been whenever I needed his help. The themes he creates are lean, beautiful and very functional. Awesome job. Excellent support and service and nice themes. Response time was quick and loved the friendly nature and full dedication towards resolving the issue. Will love to get more themes and work with him in future if a chance occurred. Thank you again for an amazing support. RichWP provides themes that are second to none! Definitely fits exactly what I need done in little amount of setup time! I have purchased two themes and they are undoubtedly the best ones I have to date. They are very user-friendly (not only for the website operator, but also for users/traffic), easy to get installed and going, they’re reliable and quick, and the support team is always fast and helpful when they’re needed. If any issue comes up at all, Felix is always willing to help and very quick with the support. Ive only required assistance twice since Ive purchased these themes, but both times, Felix was able to direct me to the right direction and fix what was causing the problem. I am impressed with how well the themes operate as well as the support team with RichWP. Definitely see myself buying more in the future If I ever decide to stop using what I already have! I have purchased two RichWP themes so far, and both have been great! The themes are simple, clean and most of all, very attractive. I would highly recommend RichWP to anyone wanting to purchase a theme. The support from Felix has been superb. He has always responded to my questions & resolved any issues I’ve had right away! Last autumn I purchased the Favorite Theme. I’m still very pleased with it. After purchasing I had some specific questions, and Felix replied within one day. After that, with every question, he guided me towards the solution. My experiences with Felix and Rich WP: precise, patient, secure and – last but not least – always a quick reply. A highly recommendation. Thanks Felix, keep up the good work! I’m a fan of RichWP themes. There are beautifully designed, clean, and it’s a pleasure to use them. As a former graphic designer, this is a true compliment. I bought Portfolio and recentely Rich Fashion. The best part is the support provided by Felix, really exceptional: he answers quickly and fixes things. A great client experience, thank you very much! Delighted with the new Theme. Very nice, clean design and good functionality. I found it easy to change my site to the new theme. The Theme Manual was useful and the support was very fast and helpful. A good experience. I have purchased Superbox and Video Hub themes 2 years ago. They are both attractive, responsive and modern looking themes even in mobile devices. Themes’ framework is clever and does the job pretty well. Videohub was updated to 2.0.0 and Felix helped me to download the new material. After two years, I must say that Felix’s support is still great! The theme is great – minimalist & crisp! Perfect for publishing regular posts and it gives a nice, dynamic look to the site. It’s also a very well performing theme – I’ve never had any responsiveness or technical issues. When I’ve had questions or minor tweaks, Felix gets back to me really quickly, usually within a few hours. I appreciate this a lot & his pointers are always super specific. Thanks Felix for a Great theme + excellent support! It’s more than a year now since I purchased the SuperGrid Theme. This is the best grid/pinterest style theme so far I’ve seen. I just wanna say: Thanks, man! Excellent support service from Felix. Quickly answered my question, and predella script quickly, as I needed. I just wanted to thank you for this theme. I’ve managed to tweak it to my liking without too much difficulty. I’m very happy with its functionality, it’s looks and it’s deceptive simplicity. It can’t have been easy to create. I really am impressed. I’m so happy I didn’t have to edit any of my posts to get it to work, which saved an awful lot of time. I would also like to add, that support questions were also answered very quickly and accurately. A great developer. Your vid hub them is awesome. Its the fastest, easiest most satisfiying website I have put up so far. I put this together in 2 hours this morning. The theme I purchased from RichWP is fantastic. I am usually very picky, and I am happy with it! I am usually the guy who hates spending money, but I would gladly purchase another theme from RichWP if I needed one. He helps when he can, and offers support whenever it is needed through simple personal email. It doesn’t get much better! Love it. It never hurts to look around. For years I have been using another theme for all my websites, but when responsive themes became popular I found that I had to add this or that to make it work and the header just never seemed to be right. And, then on a whim I purchased Superbox. It had a clean and neat look and the colors were exactly what I was looking for. I love it so much that I couldn’t stop myself from purchasing the entire RichWP package. Can’t wait to get started on my other websites now. Here’s the thing about these themes. They are easy to work with, easy to tweak, easy to install. And, when needed, getting a response from Felix is so rapid that I wonder if he ever leaves his computer. As a self-taught 64 year old with no computer background and one who barely knows her css from her .php I can honestly say that I have never had so much fun with a theme package. The themes look so professional, but even a novice can fly through the process. Best themes I have found in years, and best buy you will find for what you get! Just wanted to extend my appreciation for providing excellent customer support! You were fast in your responses and went the extra mile in helping me incorporate the “showcase” theme!! First of all I must say that I am SATISFIED and very happy. SUPPORT was great. Fast and clear. THANKS FELIX. I have purchased 2 themes from Richwp. Both themes are PROFESSIONALLY designed, attractive and very cool. Themes all look beautiful on PC, TABLET and PHONES; they have a plenty of design for them automatically switching/styling. Themes integrate with WordPress 3.6 as well, have their own options menu to easily modify looking. Besides all wp features like menus, featured images etc are implemented well. I have purchased a plenty of premium themes from different sites in the past. I must say that Richwp was the most MODERN and has the BEST FRAMEWORK STRUCTURE with a wordpress INTEGRATION pretty well. Being new to the world of Word Press I was a little intimidated but Felix was there to answer my questions, even on a long weekend! That is service. I also messed up when ordering my templates. Felix was understanding and rectified my error at no extra cost. As I continue my Word Press journey and require new themes I know where to go. Felix was extremely helpful and quick in responding all my emails. Even 2 month after I’ve bought the template he has helped me out to figure out why a certain plugin was not working. Great customer service. Felix! Thank you very much for your quick and professional assistance. Now everything is working !!!! I work with the Total Grid M5 theme. It looks great, is really flexible and easy to customize. I’m just building up my website and it looks exactly the way I wanted it. Although the manual was very helpful I needed Felix’s help. He responded so quickly and useful that I was able to solve the “problem” within minutes. His support is really great. It could not be better for me! I will recommend RichWP to my friends. We purchased the Video Hub theme for an subscription based on demand video website. We ran into some minor issues with embeds that Felix helped us work through. He went above and beyond to help us with minor tweaks. The theme itself is coded very wekk, very clean, and not full of extra control panels and garbage. I will be looking to RICHWP for more projects! Very happy of that framework and its child theme. Special thanks to Felix, answering to email promptly and help solve small issues. Good Support Service is always most appreciate when you get started! Thank you Felix!! You are so quick to respond and you had my template set up within minutes of my emailed request. You are a rockstar and your templates reflect that. Thanks again for letting me breathe new life into my photography website with such a user-friendly design and such great support! I run a political and social issues commentary blog called The Left Call and was searching for a new theme to take my website to the next level. I wanted to give readers an elegant grid-based home page where they would be able to easily and quickly scan the latest headlines. When I discovered the TotalGRID Theme I wasted no time and purchased it. I’m very satisfied with the theme and the FrameWork. Very easy to install and set up, and it’s effortless to make quick style changes. With my old theme I felt compelled to edit the source code to get the look I was going for. With TotalGRID, I’ve found the look I was after and any small style changes are done within the built-in menus. Excellent work! I wanted to thank you so much for this amazing tool you built. It’s been a while I had it saved on my firefox for the day I will open my wine education company and now that I finally “play” with it I find it quite interesting even if not so easy at once. Thank you for such a beautiful design also and for making a blog look corporate and completely manageable. Felix has been incredibly helpful to me. He very patiently answered all of my questions and did some light customization for me. Very professional and reliable. I highly recommend his services. WordPress was new for me but with the RichWP theme it was possible to make a new professional website! The support is great, Felix helps you out when you have questions. My third website goes online soon, i’m looking forward to making new sites with RichWP. Felix offers one of the best wordpress products on the market. Easy to use, flexible framework, stunning templates and outstanding customer support. Great support. Felix’s patience for user stupidity is boundless. Furthermore he is very fast at responding. Excellent work and a great theme. Felix was EXTREMELY helpful when I needed help! He provided me with detailed instruction on how to achieve exactly what I wanted (even when I didn’t know exactly what I needed). Thank you so much, and now I am beginning to realize the true power that this framework has to offer and the fast and professional support is like the icing on the cake! More than worth it! Framework is flawless. Felix was super helpful with my questions (even the dumb ones!). 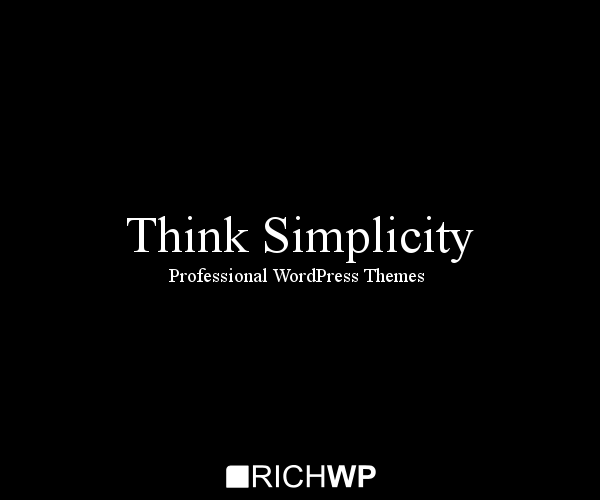 After searching the web for good WP themes, I came across RichWP and immediately like what I saw. Proceeded and bought the entire package with no hesitation. I must admit I’m not technically inclined but the documentation helps alot. And the technical support provided by Felix is top notch…simple, straight to the point. I categorically state THIS is the best WP Theme money can buy. Highly recommended!! The themes are excellent, easy to use for the digitally less brilliant among us, and Felix’s support is even better. Highly recommended by Studio Sterk Merk. Simply the best and highly recommended. I am fairly new to the world of wordpress and blogging. The past few months I have been trying to learn html code to create my blog. I was hitting so many roadblocks. I have been trying to find a theme that was close enough to what I wanted so I would not have to do too much with code. I did not find any themes that I though were good enough, they were too busy or did not contain the elements I wanted. I finally found this theme! You can customize it exactly the way you want without code. I would have save my time and sanity if I found this sooner. I had a little trouble with the uploading of the theme files to ftp. I contacted Felix and within the same day he contacted me back ready to help. A few more emails and I was set up and ready to go! I would definitely recommend this, whether you are a newbie or a veteran, you can create exactly what you need. I just wanted to write to let you know that I purchased RichWP a few months ago and have been very happy with the framework you created. I really don’t have any knowledge of web code or site building and was just looking for something that gave me control over building a WP site. There were a few things that I wanted that I had to bring a friend in to help me with, but for the most part I found the framework very intuitive. It just launched so there may still be a few tweaks, but I think it all worked out pretty good. Anyway I will probably be using one of your other child themes for a more business oriented site in the near future. Thanks for your work. The last time I left a testimonial here was back in September of 2010. During the last year and a half I’ve had to let my web presence fall into disrepair due to personal reasons. A short while ago I have been able to revisit my work and to move on with it. In a matter of a day or so I did something way wrong with my original install of Felix’s FrameWork. It was totally broken in my eyes, and nearly brought me to my knees in tears. I have to give Felix a big “show your love” for his excellent customer support. When I realized that I did not have a clue about what I did wrong, I approached him with an offer to hire him to set things straight with my site. IE re install etc., and to get it back up and running the way I liked it. Felix got back to me promptly with what it would cost, which was, (or would have been), very reasonable. However at the same time he worked with me on my crippled install to straighten things out by starting an email conversation with me as to what I was doing and how to do it. He sent me updated materials as well to use for the new install I was doing. Within a day I had things back up and running to my tastes! I can’t think of anyone who would give the kind of generous support that he gave me, especially more than a year after I initially purchased his product. His support is one on one, and is truly top shelf! Not much can be said about Felix, he has a superb product and his customer service is second to none. Forget the copy-paste replies. Felix provides genuine personalized one to one customer services. Thumbs up, highly recommended! I challenge anyone to nominate a more responsive & helpful developer whose willingness to assist goes beyond the call of duty. Felix is a gentleman & his framework is world-class. Amazed how fast Felix responds to questions. Thanks for a great theme framework and for great support you give your customers. I tried a couple of themes before I found RichWP Photo theme. None of them could do what I envisioned and the customer support was awful. It was really frustrating. I finally bought RichWP theme framework and am really impressed. It is so flexible and the customer support is amazing. Felix replies quickly and efficiently solves your problem. I will definitely recommend this theme and framework from now on and will continue to use it in the future for any other projects. I am an artist striving for aesthetic excellence. I am an engineer committed to innovation and robust solutions. I am a people person pursuing happiness. RichWP delivers aesthetic, innovative, and robust solutions with superb customer-care, and I am a happy customer. I highly recommend RichWP products and services. I wanted a site that was easy to navigate. I wanted a site that was unique. I wanted a site that was beautiful. My business is images — features films, commercials. Clients expect a first-rate presentation. Finding a theme that could deliver has cost me plenty of sleep — and plenty of hair. Twice I started working with other companies; both experiences ended in disaster. Their themes were impossible to modify, and their tech support could best be described as hostile. Then I found the RichWP Visual theme. What a difference! The interface is easy, even to us code-challenged types. More important, it’s been constructed to facilitate modification; it’s incredibly designer-friendly. And Felix has been a joy to work with. Thank you for making such a great product. Thank you for saving my hairline. I have used Felix’s themes (Affiliate and RichBIZ) for about a year now and the couple of times that I had an issue Felix was very quick to help me. The response has always been fast and the problems corrected right away. I have found the FrameWork and themes to be powerful, yet easy to work with and I have not needed a reason to look for another theme. If you are looking for a flexible WordPress theme, RichWP is the way to go. There are many choices in WordPress themes. Clubs that charge monthly fees and “free” themes. None of these offer as much flexibility as RichWP. And, none have the amazing responsiveness of Felix. Don’t worry if you are a novice, you can make a beautiful site with his framework. Thanks so much for the super-fast response and help to my queries! I’m really enjoying using the RichWP framework. I’ve never used templates before, but I loved the designs you offered. The flexibility that the RichWP framework offers is fantastic. I’m able to come up with various cool designs while working within the one theme. Felix is always there to help with questions as well! The RichWP Framework and themes are terrific. Felix is at the top of his game. launched my first national site McDermottReport.com. Sherando Times. He is also a blogger for The Huffington Post. Felix, I am so glad that I purchased your framework and couple themes so far :). Love your ideas and designs. And now you added the RichMagazine theme. In the recent past I looked at so many magazine style themes, and now … I don’t have to anymore. Thanks for the great work! I bought this framework + RichGRID on a leap of faith. I could not be more pleased. It’s one of the few times that I’ve seen an honest product. I have little coding experience, but am able to easily tinker with the framework to achieve the look that I want. As for support, no question is too small for Felix to answer. I was hesitant to request assistance on such a small issue, but sure enough Felix responded in a matter of hours with the answer that I had been looking for ! In the end, I highly recommended this tool-set to the average person, it’s really user friendly and well designed. After about an hour of browsing through the options I had a basic understanding on how it all worked. I couldn’t see myself using anything else to build my studio site. RichWP is an awesome framework. I have used pretty much all the theme frameworks out there and I find your framework by far the best. The fact that it uses 960gs makes it even better. I no longer have to code my own themes cause RichWP is versatile enough to make it look exactly like I want. Also your support has been excellent. Hands down, Felix has provided me with some of the best Customer Service that I have ever received. He was available at all times (even on vacation) and was more than willing to answer and help with all of my questions. If you are considering purchasing, not only is this one of the best themes I have ever built out a site on, but Felix provides unparalleled support after your purchase. Thanks so much Felix! Felix. Cool name and support and thanks for helping me solve those problems. Felix was exceptional, quick, and willing. Not intimidating at all. Thanks for all your help! I can’t wait to build my site with this beautiful framework and theme. I’m a professional photographer from Spain, and I built my new website, with the RichWP photo theme. I tried a lot of free photo themes, but none could satisfy all my requirements. The RichWP FrameWork is amazing and so flexible. IIt enables me to create the exact design I was looking for. I’m very happy and satisfied with Felix support as well. I’m not an expert in web design, but when I have a problem, Felix helps me as fast as he can. I am a professional photographer and rely on a solid web page to display and promote my work online. The addition of a blog to keep clients (old and new) up-to-date with current projects has become an invaluable marketing tool for my business. The challenge was to find the right theme that fit my existing brand while displayed my photos in a dynamic and fresh way. When I found the RichWP site and the incredibly elegant design of RichGRID I knew I had the right solution for my blog. As a total programming novice I was reluctant to get into the blog world without doing my homework. The RichWP Manual has been an invaluable resource for getting me up and running in short order. The technical details about how to optimize site performance are advanced tips that anybody can take advantage of. In the matter of a few days I went from zero to full throttle with the support and tutorials on the RichWP site. However, the single most valuable assets is Felix! Good technical support is hard to come by. Felix has consistently delivered thorough, clear and fast responses to every one of my questions. Walking a novice through the simplest and most advanced elements of blogging and site design was no small task, but Felix took it in stride. I am grateful for the support and patience that Felix shares with customers – priceless. Thanks Felix for the great customer service. With other products, I’ve had tech support that left me feeling confused and incompetent. But with you there was no judgement and no attitude … just fast and responsive help when I needed it. Keep up with the great product. The RichGrid is clean and beautiful. Felix’s RichWP theme is AMAZING. It allowed me to theme out my website exactly how I wanted to. I thought the price for the framework was very reasonable considering how easy it was to navigate using his GUI. His technical support was top notch as my questions were answered in a time manner. I don’t know what else to say about it…. BOTTOM LINE IS PURCHASE THIS WORDPRESS FRAMEWORK….PERIOD! I agree with Christopher above. Felix’s theme is worth every penny. Not only is the product wonderful to work with but Felix gives excellent customer service. I am not much of a coder as I am a marketer but he gave me clear instructions that even my limited abilities could understand. And I highly recommend using the Dynamic Widget plugin with this framework so you have a completely customizable site. Thanks very much for the super fast response and competent advice on Skype! All sorted and I’m up and running. RichWP is just great fun. Highly recommended. I had been looking for good grid design themes and tried a few, free and commercial. RichWP is worth every penny, the best grid solution for WP hands down! I am using the Rich WP Affiliate theme now. It has so many features that help me make money with my website. Also, Felix holds your hand when you set it up. He is fast and responsive. It’s more expensive than most themes you buy, and worth every penny. First thing first, the theme is really amazing and once you get past the initial “wow” factor you see how easy it is to work with. Love it! As for the support and after sales service, I’m really impressed with how Felix has helped me. After a few minutes chatting I felt like I could master the theme – and I’m no techy, that’s for sure. Great service and product. Thanks! I am overly impressed, not only by your product, but by your professionalism and customer service. I have no doubt that RichWP is going to serve my needs perfectly. I have a lot of tweaking and testing to do, but I know that in the end I will have the website I was looking for. What I like about Felix is that no one is left behind. Because no matter what’s the question, or how small the issue seems to be, he stays with you until it is solved. I absolutely recommend RichWP as a framework for WordPress. The themes are easy to install, and brilliantly straightforward to customize. And a special thanks for the support from Felix. Any queries were answered straight away, very helpful and friendly. Thank you! I’ve got to say – felix and his support is AWESOME. He responds just as quick as I hit ‘enter’ on my issues, and he’s insanely friendly and knowledgeable about wordpress and his products as well. I HIGHLY recommend purchasing any of his themes – the themes and support are 100% topnotch! Firstly this is just an awesome product. Felix has always been quick to respond to my enquiries regarding any issues i’ve had which has allowed me to progress quickly to the next step. This kind of support on top of an already great product has exceeded my expectations which is why it with pleasure I recommend this to anyone. Felix’s themes stand-out for me. At the front-end, they’re clean, crisp and contemporary – perfect “picture frames” for business content. At the back-end, I really like the flexibility and ease of use. Also, Felix is just brilliant at service. He is helpful, to the point and his response times are better than those of most mega-corporations. I’ve often had serious, substantive help within a few minutes of asking for it and I’ve never waited more than a (very) few hours. Felix and RichWP are absolutely exemplary! Highly recommended. I can be somewhat thick headed at times while trying to get my brain around something new. I just want to thank Felix for standing by when help and input was needed. Felix your support for your products have been first class all the way! I thought for sure that I was the only one that needed help after making what I thought were big mistakes. Thank you testimonial page for proving me wrong! Oh and thank you Felix for fixing them!!! Felix’s support has been absolutely first class, not only in relation to the theme and framework that I purchased, but also regarding basic questions relating to wordpress which I should probably know myself. I actually really appreciate it. I’ve hired people and purchased web sites in the past, and I can honestly say your support has been the best experience I’ve ever had. Your responses are quick, and precise. I also think your work is outstanding, keep up the great job! I look forward to using more of your stuff and I will recommend it to everyone who’s interested. I’d developed websites in the past, but I was completely new to blogging software when I discovered the beautiful, clean designs created by Felix for WordPress. I was impressed with the prompt replies and service Felix provided whenever I needed help. Thanks to his Magazine theme, I was able to build a very professional-looking webzine in very little time. I’m looking forward to the new RichWP Theme FrameWork for WordPress being available for the Magazine theme, and recommend Felix & RichWP without hesitation! I bought the BigNews theme for my “Inside Wolf Kettler” blog, which is a companion to my photography website, http://www.wolfkettler.co.uk. I had previously used a free theme but felt that my needs would be served better by investing in a paid, “premium” product from a professional developer. Many paid for WordPress themes require the user to do quite a bit of extra work and to install additional plugins. Not so my theme from RichWP, which worked straight out of the box (or, rather, the download). Setup was quick and painless. The customisation options allowed me to tie the blog in with the layout and graphic design of my website. I particularly like the flexibility regarding excerpts vs. the first x number of words on the front page and the control and convenience over how thumbnail images are handled. When I was shopping for a new theme, I found this to be a problem with some other premium themes. I did run into a couple of smaller problems not to do with the theme but WordPress functionality. Support was very prompt, helpful and efficient. Overall, the implementation of my new theme was a surprisingly easy and stress-free experience. I would recommend RichWP wholeheartedly. Felix, is a great help when running into problems, I have purchased two themes from him within the last 8 weeks and I’m very happy. Both sites had different issues that I ran into, Felix was very quick and responsive to my needs, Using Skype to communicate and solve the problem was a great solution. Felix has a great product and stands behind his customers who have supported him. The Big News theme has loads of possibilities for customization. It also includes a number of templates that provide welcome variation. I have put together a number of web sites, but never worked with WordPress, php, before. RichWP, has made site construction an easily understandable task. I ran into some hitches that I couldn’t solve as a novice. But Felix provided me with generous expert support all along the way. There is only one word for this combination of product and service: Excellent! I have been working on precise customizations for a client using the RichWP Photo theme. I have requested Felix’s help more than once and he is always ready and willing to answer questions and help ensure your satisfaction with his themes. I purchased Felix’s Rich Corp theme. Being completely new to wordpress, at first I was struggling a bit with the theme and wordpress in general but I quickly figured it all out… thanks largely to Felix. He prides himself on giving great support and I can confirm his support is top notch. He got me all set up and helped me with my problems… best of all he was extremely fast getting back to me. Overall I am glad I bought a theme off of Felix and so far have nothing but good things to say about my experience. I recently purchased Felix’s PHOTO theme, and while I am quite experienced in working with WordPress there were a couple of things that are still just outside my level of experience and knowledge. Felix always came to the rescue – a man of much patience I feel. But Felix is true to his word and offers excellent support, and does it so politely too. I strongly recommend anyone looking for a great WordPress theme to look no further than RichWP.com and I have to echo the praise of others, his after-sales service truly is exceptional. I purchased my RichWP theme from Felix to launch the website for my business. My web knowledge is very limited and Felix coached me and gave me the courage to run my website on my own. He had many valuable tips on how to structure my site and which words to use. When I did have questions, Felix was always there to answer them promptly. I highly recommend RichWP to anyone looking for a WordPress theme. His after-sales service is exceptional! The support provided by Felix has always been exceptional. Anytime I’ve had a question regarding his RichWP themes, Felix has responded very quickly, resolving any issues or questions I’ve come across. Thanks Felix for all of your support so far. 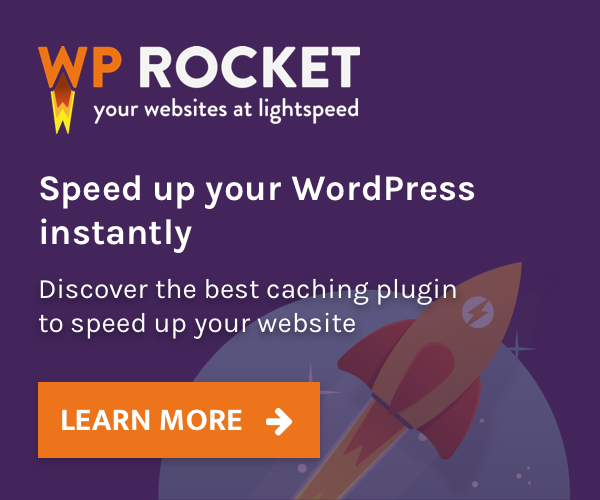 I highly recommend RichWP to anybody looking for great WordPress themes and amazing customer service!